Those of you watching the telecoms news lately can’t have failed to have missed the announcements regarding CLI (Caller Line Identification) guidance from Ofcom. Ofcom is the overseeing regulatory body for the telecoms industry in the UK, and is involved with all aspects of legislation or guidance for those operating in the sector. The latest announcements are regarding the changes to CLI guidance. Basically, this affects telecoms providers, and the way they need to ‘present’ calls to the network. As a VoIP Provider, SureVoIP® is bound to follow the new guidelines. This will mean some changes to the way we work. The changes may also mean some changes for our customers. As a Communications Provider, SureVoIP® has the responsibility of keeping ahead of legislative changes. As a result of this, we will have to make some changes to how we work. This in turn may affect some of our customers. To give some background to the situation – CLI (Caller Line Identification) provides information to the person who has been called regarding the person who is calling them. The change which Ofcom has made is to achieve some consistency throughout this process. Up to now, the CLI Data which was being passed through the system was open to abuse, with either inaccurate data or no data at all being passed along. Ofcom has decided that this system needs refreshing. 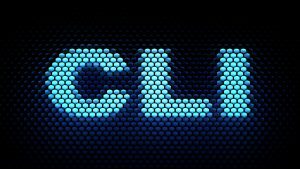 Communications Providers must provide information to the public regarding CLI services. There is a balance to be struck here. On one side, we need to allow the freedom to our users that the proposed changes seek to implement. On the flip side, we have to allow data to be transmitted for some technical telecoms reasons. For instance, the CLI information is invaluable to the Emergency Services, and could literally mean the difference between life and death. Consider the case of someone requiring immediate medical help. If the person places the call, but then passes out, or becomes unintelligible during the call, before they have managed to pass on their address, then the CLI information could prove a lifeline. The Emergency Services would be able to attend the scene and assist. This is one of the considerations of the new changes, and should, like the other proposed changes, prove a positive benefit. The new Guidance places certain obligations on us regarding how phone calls are delivered. Ofcom has altered the data required to accompany a phone call. After the new Guidance comes into play, Communications Providers will be obliged to deliver some enhanced data to the overall UK telecoms system, and deliver it in a different way. The change should ensure that all Communications Providers exchange CLI data with improved accuracy, and that this data is valid and up-to-date. As we touched on earlier in this post, the most important aspect of this to bear in mind is access by the Emergency Services. Unreliable CLI data could mean that the Emergency Services would not be able to attend a 999 call. Closing any loop-hole which detracts from the CLI system functioning is only good news for the general public. It also gives the advantage of tightening up the system which protects us from nuisance or fraudulent phone calls. With more reliable data being passed behind the scenes, the chances of catching fraudsters increases. As you can see, there are a number of advantages to be gained from the Guidance changes. As well as the fraud protection, we should also see an increase in Emergency Services efficiency. We’ll keep our Blog updated as we find out more.